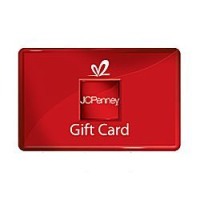 One winner will receive a $100 gift card to spend on jewelry at JCPenney to get them out of the doghouse. This year, it’s all about trying to get out of the doghouse – simply pay a visit to the Jewelry store inside JCPenney or at JCP.com (and avoid gifts such as a vacuum cleaner or power drill and of course the late night poker games). The site also allows users to build a case against their bad gift-giver filled with written statements and imported photos, videos and witness testimony as evidence of the bad gift-giving. In the spirit of the Beware of the Doghouse campaign, state what JCPenney piece of jewelry you would purchase to get out the doghouse. The giveaway will conclude December 15th. One winner will receive a $100 Gift Certificate from Hot Mama Designs. 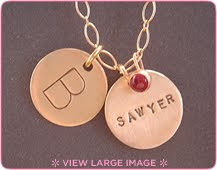 Hot Mama Designs went all out and made me a necklace with my childrens' names on their Oval Link Necklace! It is one of my proudest possessions. I put it on as soon as I received it, and haven't taken it off since. My necklace is a fabulous way to show off my unique style with my childrens' names. The trendy charms hang from a 16-inch sterling silver chain and we seriously “heart” it! You must shop the full collection of jewelry online from the coziness of your home at Hot Mama Designs! They have classy and fun to wear hand made gift ideas for every loved one on your holiday shopping list. And an early gift for you, 10% off your entire order: Just use "fling" at checkout. Hurry! Code expires at midnight on December 5th. 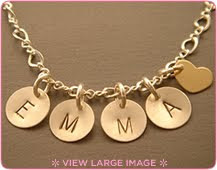 Sweet little girls, grand daughters and nieces will love personalized 100% sterling necklace from Hot Mama Designs. The perfect heirloom piece to make this year a holiday to remember. 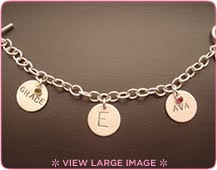 Their modern take on the traditional charm bracelet is a lovely gift for mamas with multiple children and is also a best-seller for hot grand mamas. And do you know someone who deserves to be spoiled a little? Perhaps your favorite sister, grandmother, or best friend? Watch her face light up when she opens a solid 14 karat gold necklace from Hot Mama Designs. All jewelry is made with love and comes wrapped in their signature red gift boxes all ready for giving. Be sure to place orders by December 5th for delivery with regular shipping. They will accept rush orders through December 12th with a small rush fee. Orders placed after December 12th will be delivered in the new year! 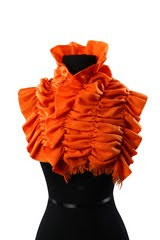 One winner will receive a Scrunchy Cashmere Scarf (a $85 value) from Nepali by TDM. Hand created from 100% cashmere. Gorgeous and incredibly soft. Hand-woven into our fabulous “Scrunchy” design. Available in an assortment of colors. Hand made in Nepal. In addition to substantially higher than average wages, a portion of the TDM profits go to help support the women and children of Nepal with health care and education. TDM creates opportunities for poverty-stricken women to generate sustainable income in Nepal. They are invested in a literacy and education campaign throughout the country. TDM’s mission is to bring about social and economic change by allowing women to participate financially in their society. Nepali by TDM’s scarves are hand-made in Nepal from natural materials and eco-friendly, azo-free dyes. The giveaway will conclude December 10th. One winner will receive a $50 gift certificate to N-fini Shape. Say goodbye to your grandmother’s girdle, Suffocating Spandex, and old-fashioned corset bras! There’s a newcomer on the shapewear market, and N-fini™ Shape, named for the line’s infinite shapewear options, is here to stay. The giveaway will conclude November 30th. You've seen and heard, Apple & Bee has been featured in publications such as Cosmopolitan and Marie Claire. Their aim is to make the most beautiful cosmetic, travel and baby bags without harming the environment. They use the finest materials such as certified organic cotton, bamboo silk, help, burlap/calico and genuine leather since they've built their bags to last, they wouldn't mind the plant being around for a while longer too. Apple & Bee supports The Bee Foundation, a non-profit organization established by Apple & Bee to help raise money and awareness of Colony Collapse Disorder. At present honey bees around the world are dying and no really knows why. There are various possible causes currently being researched. Australian bees have yet to be effected. Honey bees support a large proportion of the world's food crops and without them our fragile ecosystem could easily be upset. 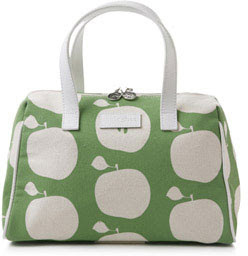 Chic and sweet, the eye-catching Apple & Bee Bowling Bag in Delicious Grass Green will tempt anyone with it's juicy details. The quality of this bag is superb. Even Snow White would approve! 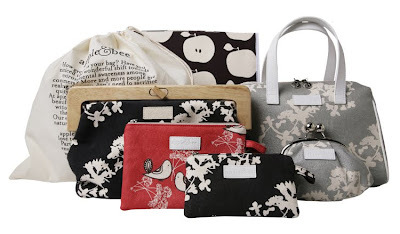 The outer bag is made with organic cotton and features unique Apple & Bee Designs. It includes a water proof lining to prevent leaky product disasters. There are two inside pockets to store small make up items so you won't lose anything. The handles are made with genuine leather. This handbag is also available in Japan Black, Japan Silver, Delicious Almost Black, Turtle Dove Pink, Turtle Dove Red or Turtle Dove Ivory. Each bag comes with a dust bag that will help protect your bag! Cmarchuska is a chic and sophisticated eco-friendly clothing line that was launched in November 2008. The line is manufactured in NYC's garment district, and each piece uses the highest quality sustainable fabrics. In addition to using high quality sustainable fabrics, our Cmarchuska clothing, and Marchuska tees are cut to fit you better. Cmarchuska dresses, and Marchuska tees have been spotted on celeb blogger, Tia Walker, MTV Brooklyn Real World star, Baya Voce, and NYC socialite Emma Snowdown-Jones, nightlife icon Sally Shan, and MTV reality star for the girls of Hedsor Hall, Jen Marden. They also recently got into two new stores in Manhattan: Blush, and Montmartre, a high-end boutique that has locations in Columbus Circle, the financial district, Broadway, and Madison avenue. I received the Chrissy Jean Dress in Red Fuchsia ($172). I've been so busy the past month that I almost forgot all about it until it arrived in the mail. I could barely contain my excitement once I opened the package and saw what it was. This dress may be more suitable for Spring/Summer, but we've been experiencing some nice, warm weather lately. Therefore, I recently had the opportunity to wear this one night out with my significant other. The dress is not only beautiful, but it feels so comfortable! It feels so great against the skin. The fit is also great. This isn't surprising since it is made with a sustainable blend of 92% bamboo/8% spandex. The fabric of this dress is truly remarkable. You can also buy this dress particular dress in Navy or Noir Black. A Cmarchuska dress is an ultra chic addition to any woman's wardrobe! 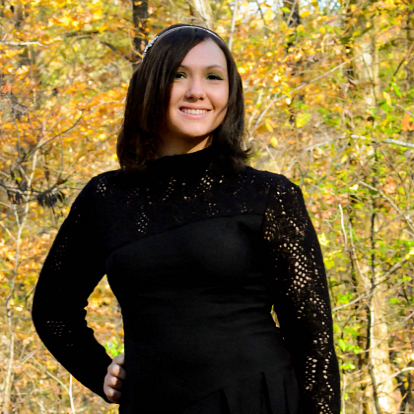 One winner will receive a black dress and 6 wraps from Modify Clothing. Modify Clothing gives a new terminology for the highly coveted "little black dress". With 4 different wraps, you can create 10 different looks with their black dress for just $44 - making this a must have for any budgetnista (fashionista on a budget)! Shopping at Modify Clothing is simply easy. All you have to do is choose your size (S-L in both petite and regular sizes) and the wraps that you like. They have quite a selection of basic colors or flattering pattern styles to choose from. Included is one belt halter, a criss-cross loop, and a short and long wrap. This dress is comfortable, stylish, versatile and flattering on the figure! I'm favoring the one-shoulder look, but this may change at any day. My wardrobe doesn't have to though! This is the only dress you should take with you when traveling. Not only will you get a multitude of different looks to sport, but this will save a lot of room in your suitcase! The giveaway will conclude November 25th. 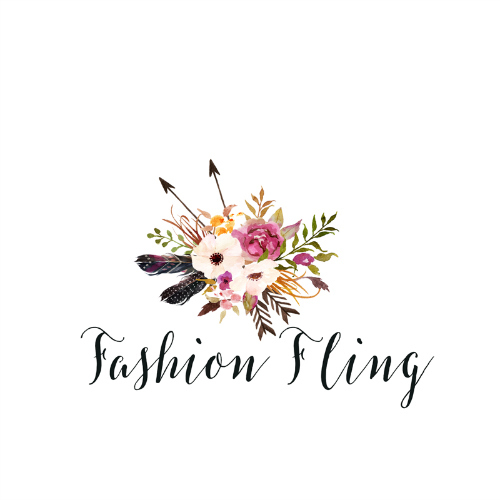 - Vote for Fashion Fling on Divine Caroline. - Become a fan of Modify Clothing on Facebook.